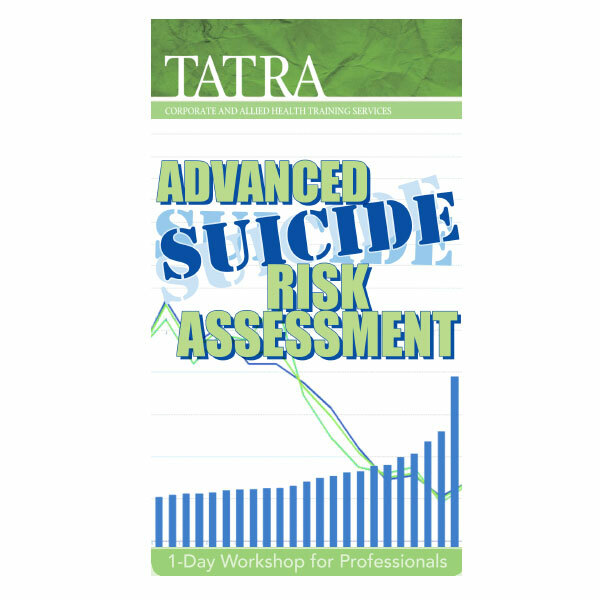 TATRA’s Suicide Risk Assessment workshop provides detailed practical information on conducting Suicide Risk Assessments and effective interventions. Melbourne: 29 April 2019. Bayview on the Park, 52 Queens Rd, Melbourne. Sydney: 6 May 2019. SMC Conference & Function Centre, 66 Goulburn St, Sydney. The workshop is intended for all frontline workers who come into contact with people who may be suicidal, including those who are experienced in this area. This includes the workforce of Mental Health Services, Mental Health Rehabilitation NGOs and other NGOs, NDIS, Community Health and Child Protection Services, Correctional Services, Housing and Employment services, Domestic Violence, Services for Homeless, Centrelink, Drug and Alcohol Services, Youth Services, General Practitioners and a wide range of other services. Our interactive and thought-provoking workshop is provided by a facilitator with more than 20-year experience in providing Suicide Risk Assessments for people at risk and working with them clinically. It will be an interactive and high energy day of learning activities and case studies. Come and join us! Refresh your current knowledge! Learn something new!